While the uber-groomed take on the fade has tapered off, the next-level short back and sides style is certainly here to stay. Our favorite version of the look right now involves keeping the length on top while simultaneously really embracing curly or wavy texture. This fade variety works best when the sides are cut quite as close. Ask your Stephen Gregory stylist to help you find a little more of a messy, rock-and-roll angle for the cut that just won’t quit. For those dudes blessed with coarse locks, you’ll find an of-the-moment move in artfully twisting your ends for a grown-out look that still feels entirely grown-up. The hottest thing anyone can wear is confidence, of course, but it sure doesn’t help to throw in a touch of scruff to take this style to a Donald Glover place that’s sure to turn heads. So, in case you haven’t caught on yet, the en vogue vibe is just a touch—well—undone. Note: We did NOT say “unkempt,” so for the love of all that is holy, take care of your callouses and cuticles with a manly mani and/or PLEASE moisturize (your skin will thank us and so will your main squeeze). For those with straight, fine strands looking to achieve a more disheveled hairstyle, you can bring in a little messiness to your look with an imperfect buzzcut. Ask your Stephen Gregory hair guru to leave a millimeter or two of extra length, avoid trimming down your cowlicks, and take a minimalist approach to product so you can embody some tousled action even in a tailored suit. That gruff, scruffy version of Bradley Cooper is everywhere, and we are here for it (minus the leathery skin—wear sunscreen, y’all). Grow out your hair, then ask for layers on layers on layers and learn how to master a blow dryer (ask us how). Whether you can sing for real, you’re just sort of a karaoke king, or you can’t carry a tune in a bucket, this is a look that screams swaggy. Going darker may seem counterintuitive for spring, but darker hair has serious shine and is so much easier to maintain. In keeping with the whole low-key situation, you’ll find that deep, dark tresses not only signify a little more mystery, they’re also a lot less damaging than the alternative. Request an all-over darker hue that will create more depth without washing you out. Expert advice: The “I woke up like this” vibe requires the right product. 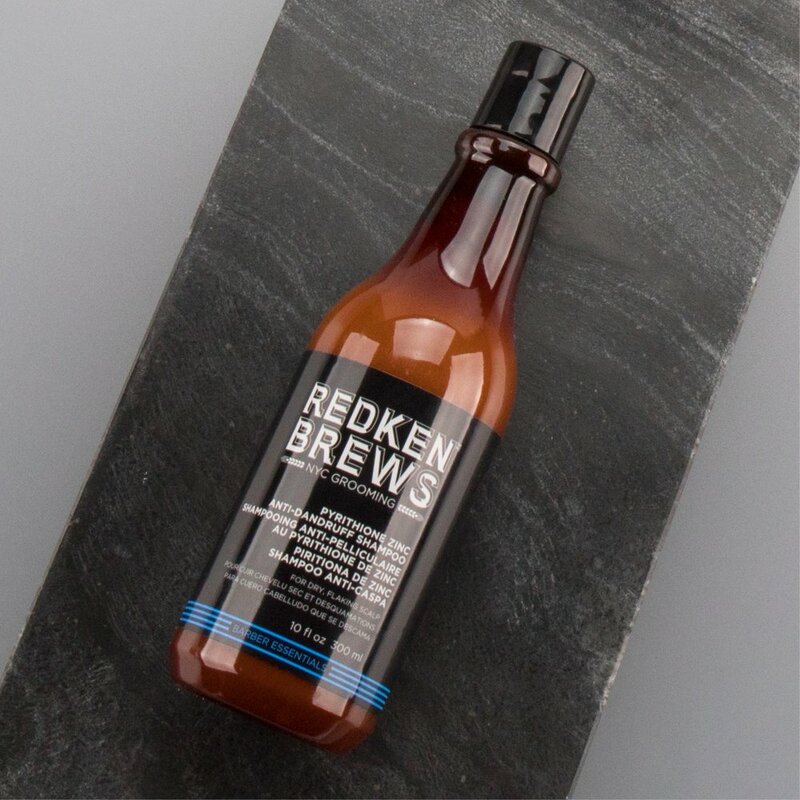 Check out our selection of Redken Brews and Baxter of California products to get you there. Embrace your best life, starting with the best hair. To schedule an appointment, call 205-703-8076 or download our app today (available for iOS and Android devices). When it comes to Valentine’s Day, there are traditionally two schools of thought: 1) You think it’s a cheesy, Hallmark-card created day in February where it’s near impossible to find a dinner reservation or 2) You love Cupid. You love those candy hearts with cheeky messages. You love love! You LOVE Valentine’s Day. The Magic City has a legit local beer scene that can make for a cool date night. If you and your dude are into brews, we suggest getting a Lyft or Uber (safety first, folks!) to brewery hop to your faves or check out the ones you haven’t tried yet. We suggest kicking things off at District Brewing Co. (try the stout—it’s excellent) for a little Connect-Four, then grab a ride over to Back Forty Beer Co. to see what all the fuss is about with the Peanut Butter Porter before building up a good base with their housemade poutine featuring Truck Stop Honey gravy and the Back 40 cheeseburger. Next up, stop by the Crestwood area’s hoppiest happening spot, True Story Brewing, for their Fabricator Double IPA and a solid list of other local brews. Finally, round out your sudsy Valentine’s Day celebration with a trip to tried-and-true Avondale Brewing for Miss Fancy’s and a little time under the stars out back in their patio area (don’t worry—they’ve got heaters!). Foot the bill, and we’ll bet that your boy will swear it’s the best date he’s ever been on. You’d be hard-pressed to find someone who doesn’t love receiving a basket filled to the brim with items that speak to their personality. For the dapper dude in your life, consider putting together a collection of high-quality products to help him further get his debonair on. We love the men-specific product offerings from both Redken Brews and Baxter of California (both brands available at our salon for purchase, FYI). Throw in a cool Napoli pocket square from local ready-to-wear luxe line Charlie Birmingham and a bottle of his favorite scotch (ahem, you can’t go wrong with The Macallan 12-Year Sherry Oak), and you’ve got an assortment equal parts classic Cary Grant and devastatingly cool Idris Elba that he’s sure to love. Want to take your token of love up a notch? Hook him up with our Ultimate package—a luxurious grooming experience designed to help look and feel as amazing as you know he is. Whether he’s the type who keeps you in stitches or the kind who believes that the way to the heart is through the stomach, you can encourage his passions and proclivities by hooking him up with classes meant to fan the flames of what he’s really into. For the funny guy, check out improv or stand-up comedy classes courtesy of Positively Funny, Birmingham’s in-depth comedy group. Not only will these wildly entertaining classes help him tap into his funniest self, they’ll also help him hone his public speaking and the ability to think on his feet. If he’s more into the gastronomic arts, heat things up with Sur La Table cooking classes. During these 2 to 2.5-hour long lessons, he’ll learn how to do everything from making croissants from scratch to Tuscan cast iron cooking. You can also make a date of crafting Italian pasta or learning to cook with wine thanks to Sur La Table’s Date Night series. The best part? You get to reap the sweet benefits of your man’s newfound culinary skills. To set up his well-deserved grooming sesh at Stephen Gregory, A Men’s Concept in advance of Valentine’s Day (or any time! ), click here or call 205-703-8076. Ahh.. November! Colorful falling leaves, crisp air & the oh so familiar sense of urgency to begin your holiday planning. Its the busiest time of year for most folks & many would agree that its equally the most stressful. Not to add to your already occupied mind, but you may want to think about that cocktail of breezy weather & pressed for time stress that you’re tossing back. WebMD reports that over 80% of people experience dry/irritated skin in the colder months. Most show these symptoms on their hands, face & scalp. Add all the stressors of the busy season to that & these problematic dry zones will only get worse! No need to panic! You should save those emotions for fighting the lines at Target & Best Buy come the 23rd this month! Yep. We’re starting off that simple. Did you know that your skin’s pores actually respond to your shower temperature? The higher the heat, the more open & receptive your pores are. Just the opposite occurs when the water temp is increasingly cooler. In an article for Women’s Health, Sejal Shah, M.D., a dermatologist in New York City, explained that “hot water strips the skin of its natural oils leading to dry, itchy skin.” So there you go, the easiest fix this Autumn/Winter is to simply cool off your shower & face wash routine. Not too hot, not too cold water temps even just a couple days a week can dramatically improve your skin/scalp’s moisture levels! Lotions have the most added ingredients. Why? Because they are placed toward the water end of the spectrum. The higher the water content, the easier it is for bacteria to form. To combat this, preservatives (like parabens, benzyl alcohol or salicylic acid) are used. Fragrances are then often added to mask the scent of these ingredients. This is why we normally use lotion for the body and heavier products on our (more sensitive) faces & scalps. These additions aren’t necessarily harmful to the skin but its certainly not the best way to treat you skin day in & out. A true moisturizer is going to be much more suitable for this time of year. Moisturizers are a spectrum from water to vaseline with lotions, creams and ointments being varying combinations of the two. In fact, most product lines carry two or more forms of a moisturizer, such as one cream form and one liquid form, to satisfy every skin type. Moisturizers use a mixture of oil and water soluble components to restore the outermost layer of the skin to its natural condition. You’ll find common emollients such as petroleum jelly and mineral oil, plus waxes used to thicken the creams and seal in moisture. A moisturizer will be the most pure & effective way to repair & prevent dry skin on the face & scalp! For starters, did you know that over-washing your hair can actually cause your scalp to become dry and itchy? Unless you just produce a TON of scalp oils, daily shampooing is not a good idea. Decrease your shampoo regimen to every other day. Simply rinsing with warm water should be plenty to remove the surface styling products & give you a fresh start. The ingredients DO matter! Stock up on shampoos & conditioners infused with oils and other nourishing ingredients like aloe vera & jojoba oil. Avoid products with too many chemicals that could worsen your problem such as Ammonium Lauryl Sulfate, Parabens & Synthetic Fragrances. Its a lot to keep up with, so its best to intrust a professional Barber &/or Stylist (like the those over at Stephen Gregory) to help you choose the best product for you! This Autumn & Winter the team at Stephen Gregory, A Men’s Concept are ready to help you purchase all your skincare & haircare needs! SG carries both Redken Brews & Baxter of California, two of the leading mens health cosmetic brands! The shop is open Monday-Friday 10am-7pm & Saturday 9am-5pm. Check out this great article by Jamie Walden from Al.com! Ah, November. A month of abundance. Turkey. Cranberry. Dressing. Facial hair. You know it—for many men, the 11th month of the year is No Shave November. But not all beards are created equal, and even though you may not be shaving this month, you must certainly take certain steps to ensuring you’re looking more rugged and dapper than lives under a bridge. “After all, there’s skin under there,” notes Gregory. He urges men who plan to go No Shave this November to be aware of the skin beneath the swagger-giving beard. “Every day, you should use a beard wash specially formulated to tackle the skin beneath all the course hair of the beard,” he says. And, no, regular shampoo won’t cut it. The problem with using off-the-shelf hair shampoos to wash your beard is that the chemicals in them can strip the beard of its natural oils and dry out the skin underneath, leaving your beard coarse, dry, and brittle. Additionally, there is a greater chance of your beard hair breaking, falling out, or being prone to bald patches due to weakened roots and split ends as the result of not using beard-formulated washes. Gregory recommends stopping by the salon to schedule a consultation with the experienced team of men’s grooming experts to see which beard wash will be right for you. Moisturizing isn’t just for the ladies. In fact, supple, well-hydrated skin is hot for everyone. Because the beard and skin beneath it can be stripped of the natural oils necessary for that well-maintained, profesh vibe we all strive for, it’s imperative to take steps to put all that hydration back into the facial hair. “A great beard oil will work double-duty for you—both helping restore the moisture to your beard so it’s soft and manageable and also getting down to the skin to tackle any dry, rough patches.” Gregory is a big proponent of Baxter of California and Redken Brews for hard-working product lines that can take your beard game to the next level. Fortunately, both of these exclusive, men-centric lines are available at Stephen Gregory, A Men’s Concept. If you’re going full facial hair for No Shave November (and you totally should! ), be sure to schedule an appointment with a professional men’s grooming specialist at Stephen Gregory, A Men’s Concept today! From beard trims to treatments, you’ll find everything you need to feel like the gent you are at this go-to salon geared specifically to guys. And if you’re a dude on the move, be sure to download the Stephen Gregory mobile app (available for iOS devices here and Android devices here) for 24/7 access to their appointment schedule. Simply download the app, create you account, and choose the best day/time to schedule. Your best ever No Shave November is just an appointment away!